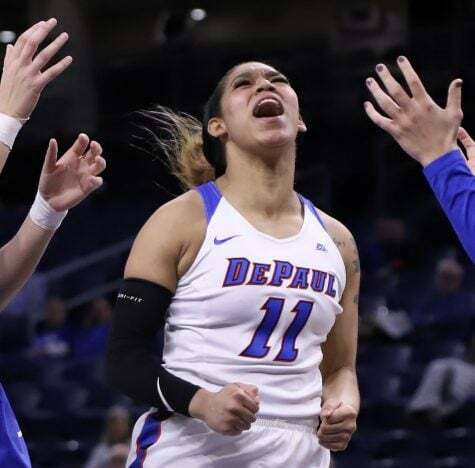 The Blue Demons (18-6, 10-2 Big East) capped off a three-game home stand on Sunday afternoon by blowing out the Providence Friars (9-16, 2-11 Big East) 81-47 to move one game ahead of the Marquette Golden Eagles atop the Big East standings. Rim awareness on both the defensive and offense glass carried the Blue Demons against the Friars. 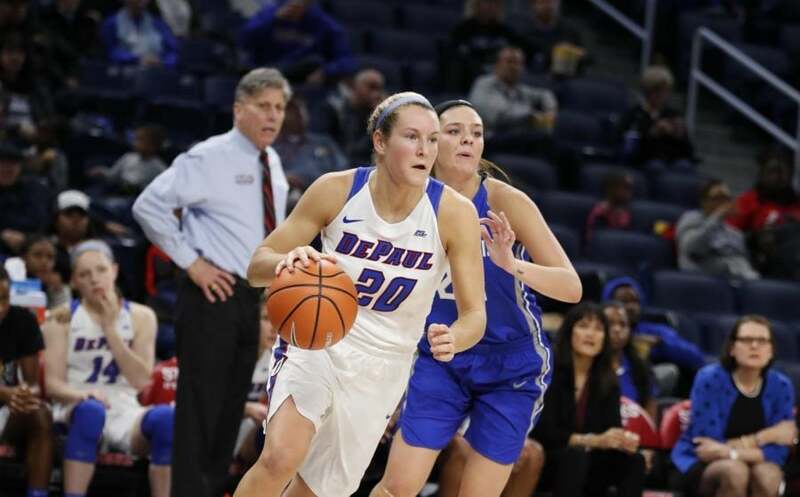 The Blue Demons out-rebounded the Friars 51 to 29, and 17 of the Blue Demons’ total rebounds came on the offensive end, which allowed the Blue Demons to score 13 second chance points. Assists were plentiful, as the Blue Demons dished out 20 total assists in comparison to the Friars’ five total assists. The Blue Demons halted the Friars’ leading scorers, Jovana Nogic and Maddie Jolin, as they combined for nine points. Head coach Doug Bruno credits junior guard Ashton Miller’s defense for shutting those two down. “I think Ashton did a really good job,” Bruno said. 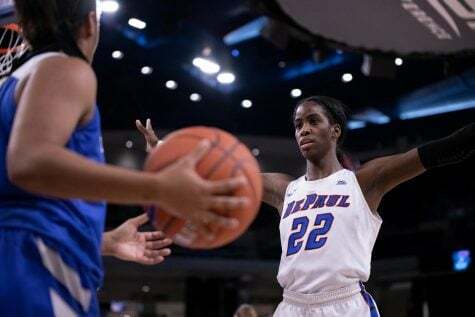 Kelly Campbell, the Blue Demons’ leading rebounder who stands at only five-foot-10-inches tall and came into the game averaging 10.3 rebounds per game, had the best all-around performance. 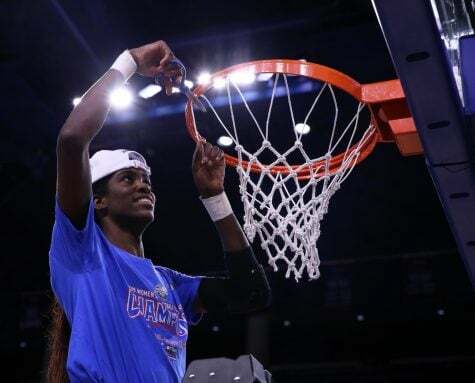 Campbell pulled down a team-high 10 rebounds and scored 11 points on four-of-seven shooting to give her a double-double. In addition, Campbell had a team-high six assists. 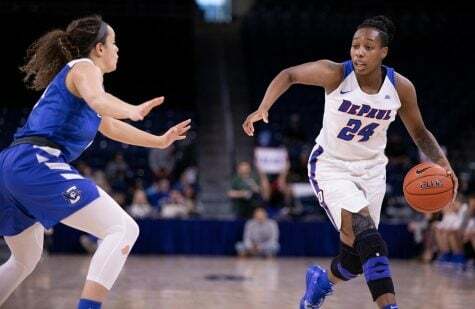 Even though the Blue Demons only shot 42.6 percent overall during the game, shy of their average scoring total in conference play which is 44.7 percent, offense was plentiful for the Blue Demons in a game that featured the No. 2 scoring offense in the Big East, the Blue Demons that average 79.5 points per game, and the team with the worst scoring offense in the Big East, the Friars that average 55.2 points per game. Equally important, the Blue Demons knocked down 12 of their 15 free throw attempts and scored 12 points off the Friars’ 15 turnovers to add to their offensive scoring total. 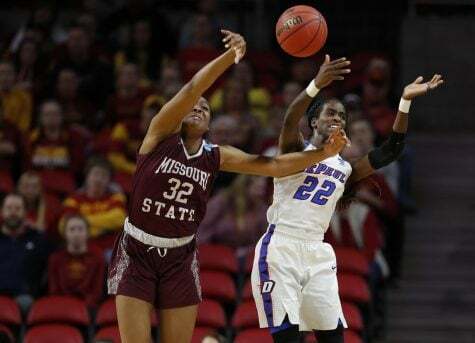 Chante Stonewall, a six-foot-one-inch sophomore guard, scored a team-high 15 points by way of nailing three of her five 3-point field goal attempts and making both of her two free throw attempts. Stonewall also grabbed seven rebounds, four of which were on the offensive glass, a team-high for offensive rebounds. 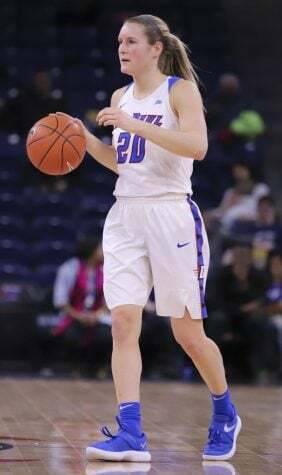 Stonewall’s confidence has skyrocketed ever since she stepped up and scored 12 points on Friday night against the Creighton Blue Jays, and she contributes her confidence to her recent success on the court. 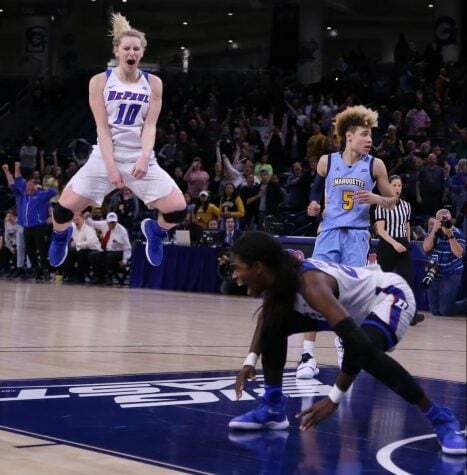 “You miss 100 percent of the shots that you don’t take, so just continue to shoot and they’re gonna connect,” Stonewall said. Right behind Stonewall in the individual scoring category was Grays, the Blue Demons’ leading scorer. Grays scored just nine seconds into the game and finished with 14 points, including two 3-pointers and had seven rebounds. Amarah Coleman also had a good game, scoring 13 points and coming down with five rebounds. With four players having double digit scoring nights, Bruno let some of his deep bench reserves get playing time in the fourth quarter. This included Dee Bekelja, Vinisha Sherrod, and Rachel McLimore who all put up points on the scoreboard. 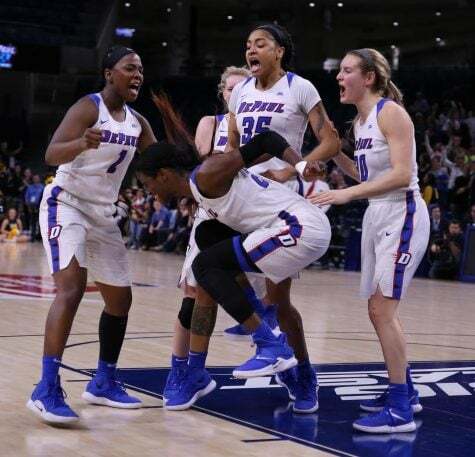 While the Blue Demons have won eight of their last nine games and it looks good on paper, they still have work to do. Specifically, they need to cut down on turnovers, as they committed 13 turnovers today and many of them were traveling violations coming out of shot fakes. “You have to work very hard at the foot work to stay clean with your feet,” Bruno said. 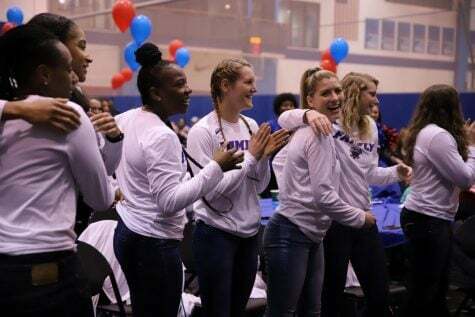 If the Blue Demons can clean up that miscue, the path to season success looks much brighter for a team that has won the last four Big East regular season titles and has made the NCAA tournament 15 consecutive seasons. The Blue Demons’ next two games will be on the road against the Butler Bulldogs and Xavier Wildcats before returning home on Feb. 16.